This recipe calls for the best in season tomatoes with little seasonings to brighten up the flavors. The ingredients used makes one big portion. However, you can simply double or even quadruple the amount if cooking for multiple people. Ingredients (for one, double the amount if cooking for two)? Halve the tomatoes. Pick out only the cilantro leaves since stems are not needed for this recipe. Zest half of the lemon first then squeeze 1/2 lemon juice into a container. Pour in the tsuyu and water into the lemon juice container. Stir a little and give it a quick taste, see if more seasoning is needed based on personal preference. 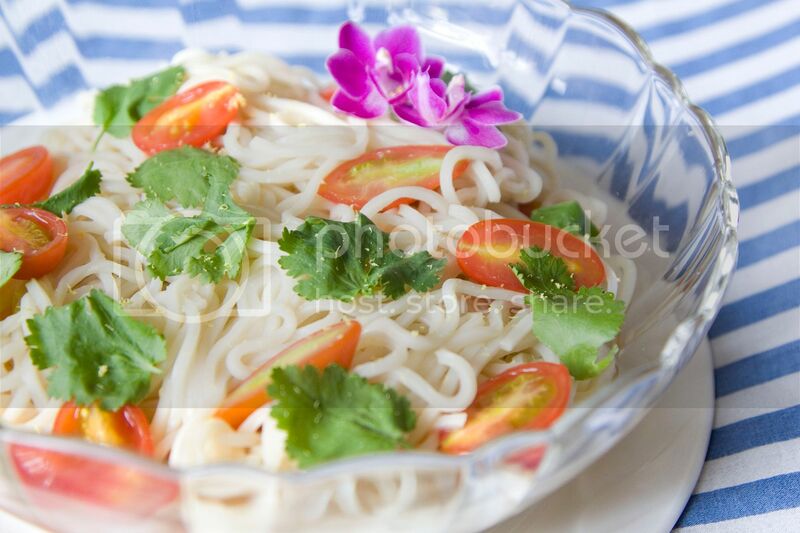 This simple base should cover the saltiness and sourish tastes for the cold noodles. 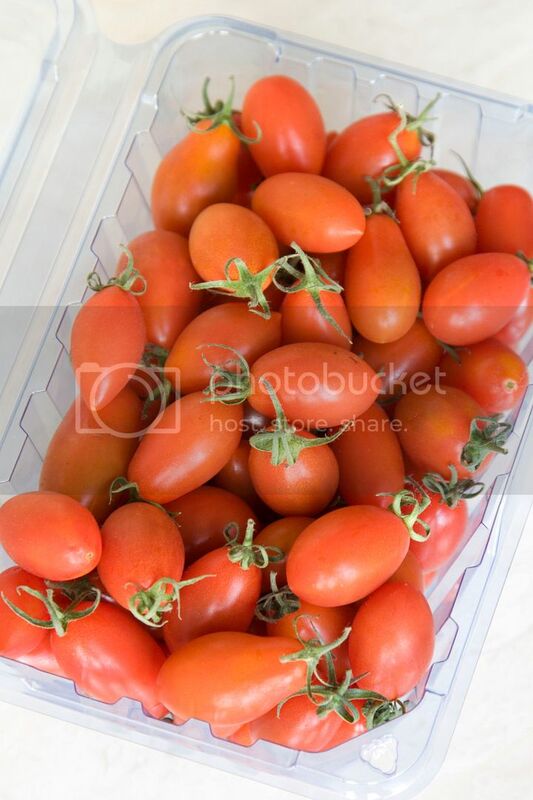 The sweetness part comes from the ripe cherry tomatoes. Cook the noodles according to the packaging instruction. Once done, drain well and soak in ice cold water to quickly stop the cooking process. Drain again when the noodles are completely cool down. Transfer the seasoning base to the serving bowl and carefully add in the noodles. Mix well, arrange halved tomatoes and cilantro leaves throughout. Sprinkle with lemon zest and optional white sesame seeds. 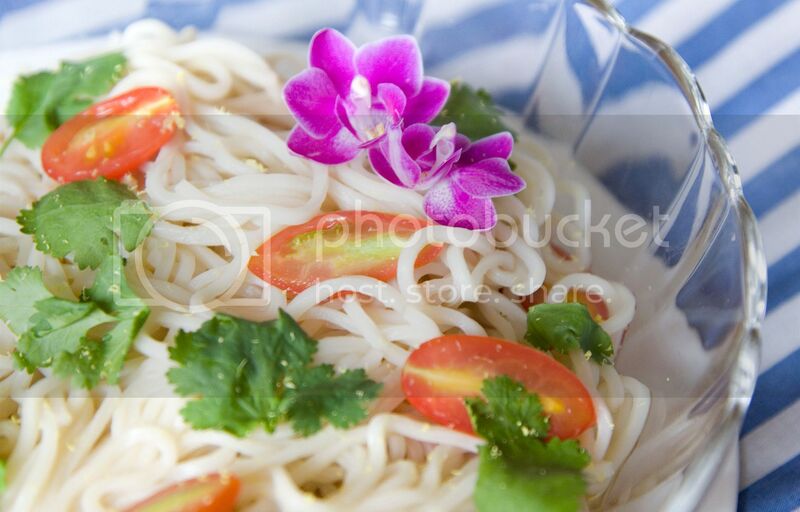 Lastly, beautify the noodles with some small pretty flowers. I know the flowers might not be edible in most cases and there's no point putting something unrelated as a garnish. Buy hey, the flowers not only brightens up the visual but also the gloomy mood, might work even better than the food itself! MyTaste is a social platform for foodies and blogs/sites owners like you and it helps to reach more people, get more visibility on the web and share/save recipes. Some of the top food blogs receive 20,000 visitors from us on a weekly basis. I'm actually already joined this service, you can find the icon on the left hand side. Here, the tomatoes seem not in season yet. 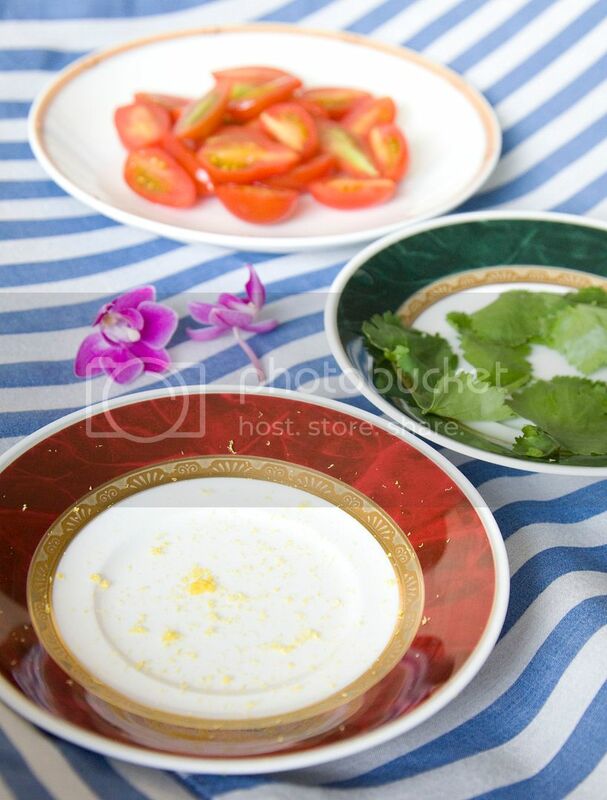 This is a great dish to enjoy in summer with freshest seasonal ingredients! Really? It's been out in Taiwan for a while and I see lots of fresh tomatoes here in CA now. Thank you so much for the comment! The cold noodles is perfect for this sizzling hot weather! Sakura (cherry blossom) pancake. 滿滿少女心的櫻花鬆餅 (季節限定). All rights reserved by author of this blog. Powered by Blogger.